This horizontal plastic water tank is a must have for applications where draining and cleaning are a priority. The sump on the bottom offers a means for excellent cleanout. The polypropylene resin and construction boasts a long life, as the tank has high impact strength and is FDA approved for the storage of potable water. The tank is also UV stabilized to withstand outdoor weathering. 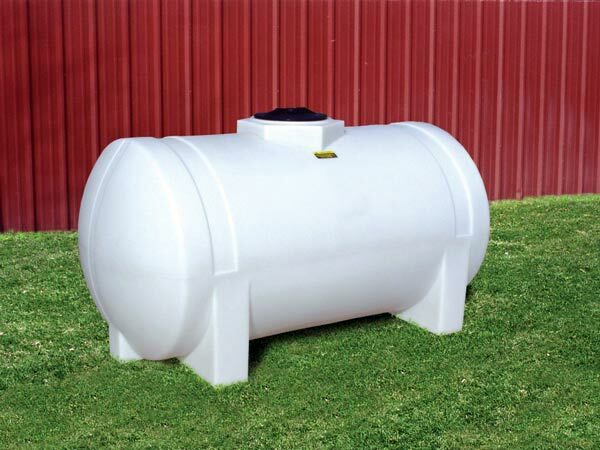 Designed for use as sprayers or transportation units, these horizontal storage tanks include a manway, standard fittings, and saddles to accommodate storage and mobility from one area to the next. 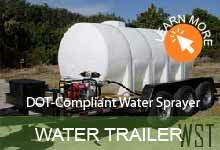 Learn more about horizontal water storage tanks.